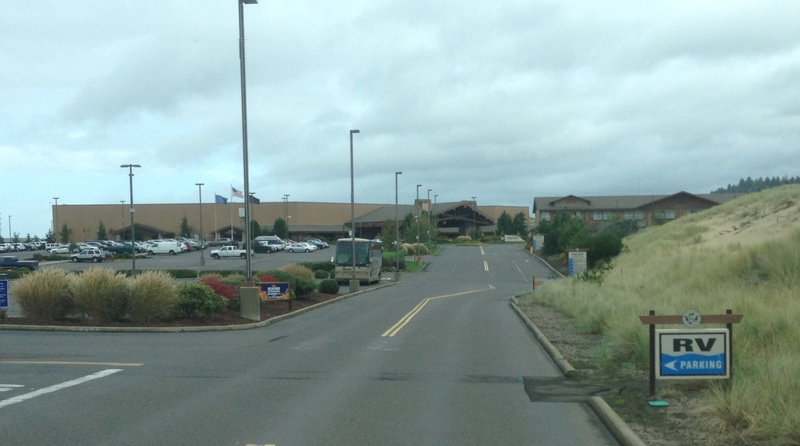 Three Rivers Casino in Florence, OR, welcomes RVers to stay for up to 7 nights in their parking lot for free. Then they have to leave for two weeks before they can stay another 7 nights. We will probably stay maybe 3 nights here. We took the Jeep in to see historic Old Town Florence. Restaurants and shops line the main drag in this little fishing community. The Siuslaw River Bridge, designed by Conde B. McCullough, was built during the 1930’s, funded through the Public Works Administration as part of President Franklin D. Roosevelt’s New Deal providing jobs to struggling families during the Great Depression. It is a draw bridge, and a beauty. This entry was posted in Daily Post, October, Oregon and tagged Bridges, Casino, Casino RV Parking, Conde McCullough, Florence OR, New Deal, Pacific Coast Hwy 101, Public Works Administration, Siuslaw River Bridge, Three Rivers Casino. Bookmark the permalink. 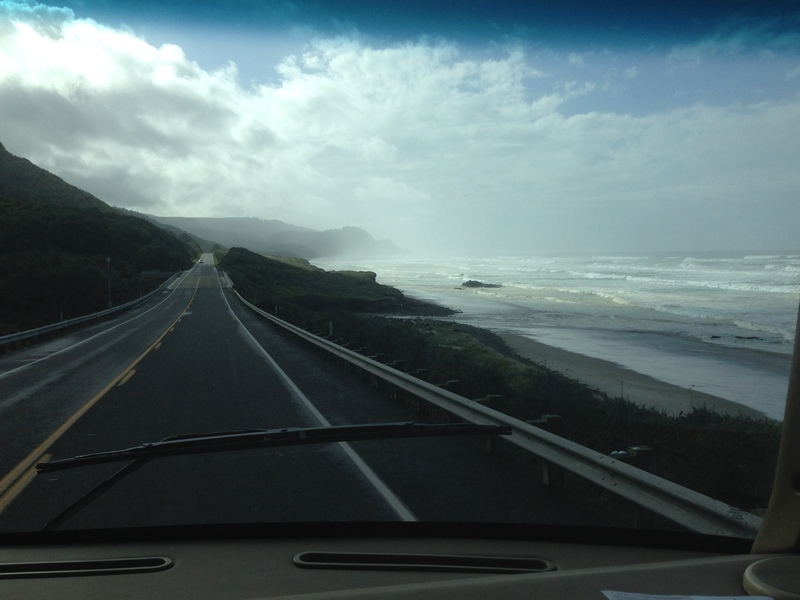 You are so lucky to be living the Nomadic Life. Thank you for the bit about your stay in Oregon. I live in Lakeside and enjoyed you adding us to your blog. 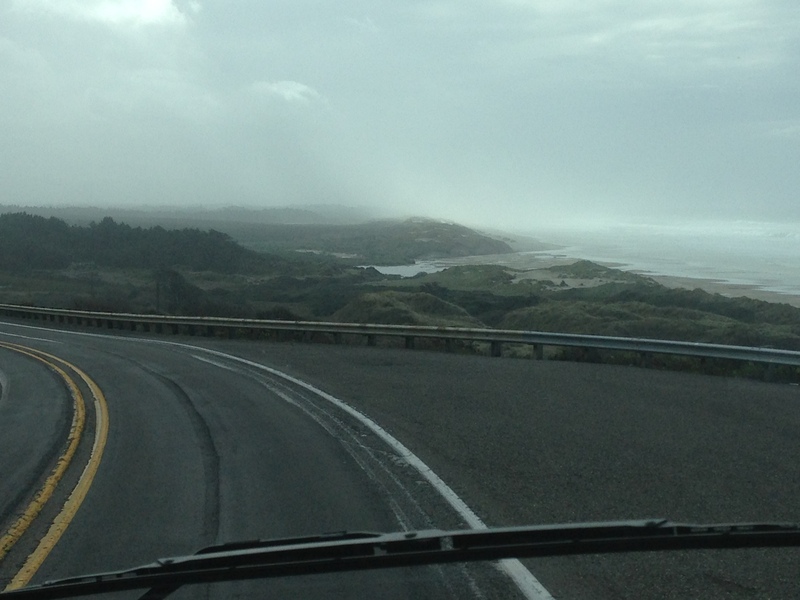 Loved Oregon. Hope to return there and see more! Thanks for reading.